Little Bobga has had a tough go at life. 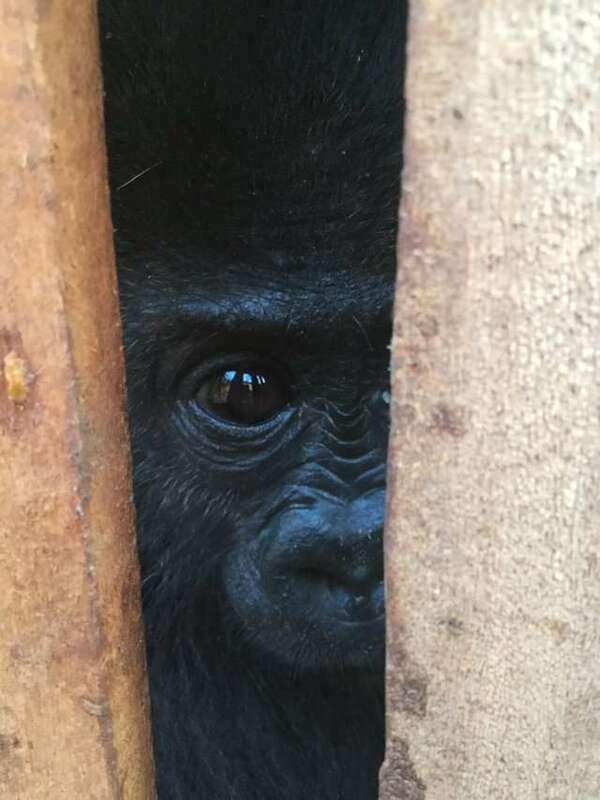 When rescuers found the baby gorilla, he was abandoned and left all alone in a wooden crate. What’s worse is that he likely witnessed his mother and family meet a terrible end. This is because mother gorillas would never leave their child unless they were forced to. They are very protective of their babies, according to The Dodo. Tiny apes are often sold as pets when they are separated from their parents. They end up in sketchy zoos, circuses or are even abandoned once they grow too big to handle as a pet. Bobga’s rescuers believe he was subject to the illegal wildlife trade. 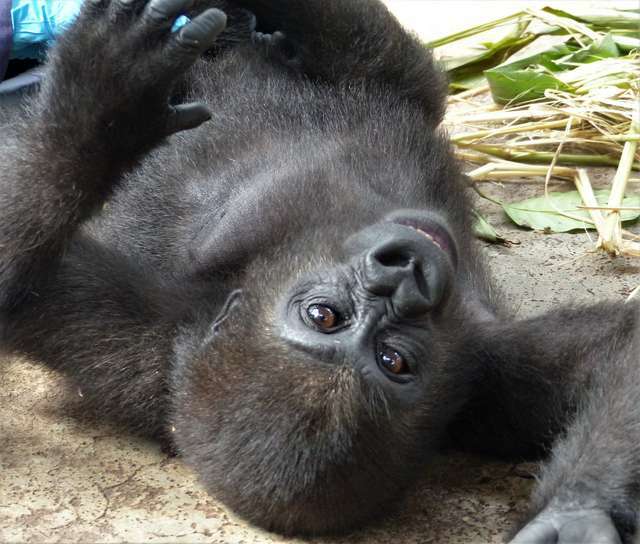 Thankfully Bobga was taken in by the Limbe Wildlife Center (LWC) in Cameroon which is supported by Pro Wildlife. Now Bobga has a new family and is doing quite well in their care. 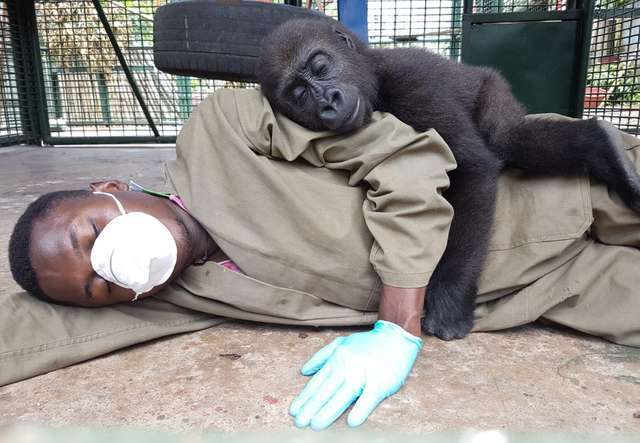 He’s making strong connections with his caretakers and is well on his way to growing up to be a big grown-up gorilla. Look at him below having a nice meal to grow healthy and strong. Each and every day, Bobga’s caretakers will make sure all of his needs are fulfilled. They feed him lots of milk, provide him with fresh fruits and browse. They also make sure he gets lots of tickles and lots of play time. 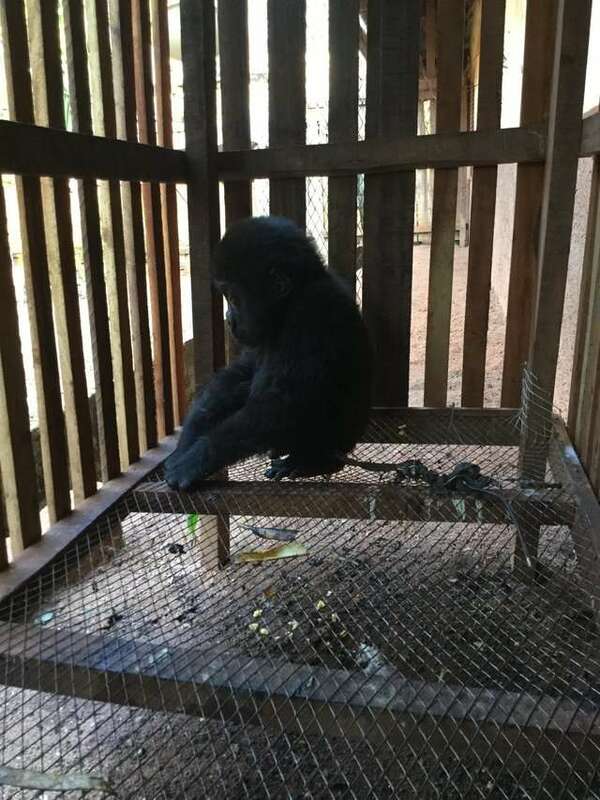 “Bobga has been busy learning skills from his dedicated caretakers as part of his rehabilitation — including foraging, playing, learning social skills, stimulating curiosity, climbing and grooming,” Limbe Wildlife Center’s primate well-being and population manager Peggy Motsch said. Their goal is to ensure that Bobga would be able to survive in the wild on his own. And so far, the Limbe Wildlife Center says Bobga is doing just great in that department. This little cutie loves to kick around the soccer ball. He also loves to climb and cuddle. This will help him with his dexterity, to climb trees, and feel safe and connected to those who are caring for him. 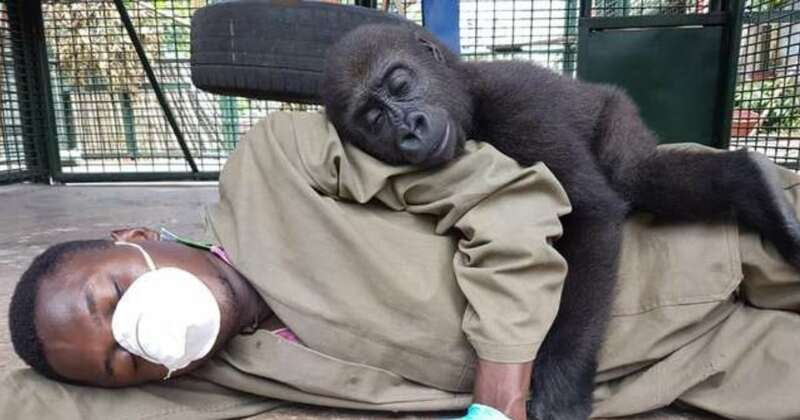 You can see him taking a cuddle break with his caretaker Alvin above. Bobga is much happier now than when his rescuers first found him. He even has a new family of caretakers. And maybe one day, he’ll start a family of his own in the wild.